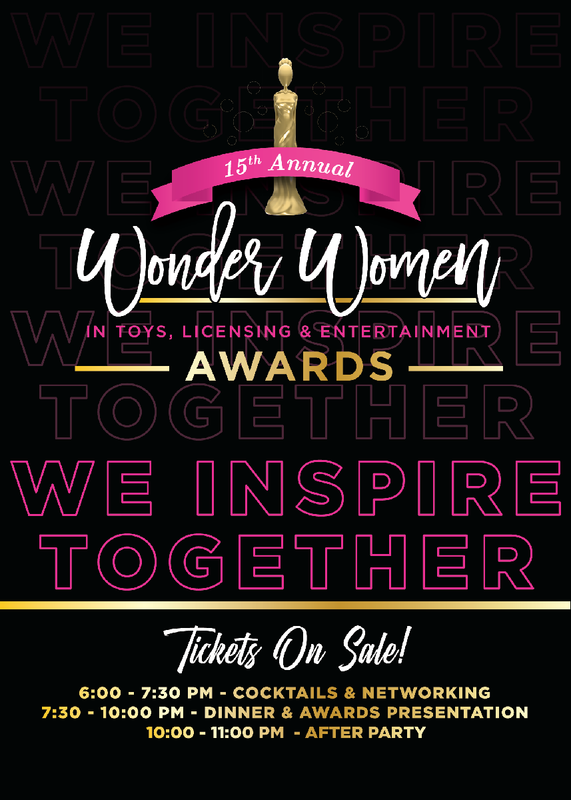 Join us on Sunday, February 17, 2019, at the 15th Annual Wonder Women Awards for a night of celebration and inspiration as we honor the brightest female executives, thought leaders, entrepreneurs and changemakers for their extraordinary achievements and impact within the toy, licensing and entertainment industries. *** Buy tables with industry friends to secure reserved seats. All tables include an ad in the Wonder Women Digital Tribute Book.